Immigrants, refugees, people of color, women. 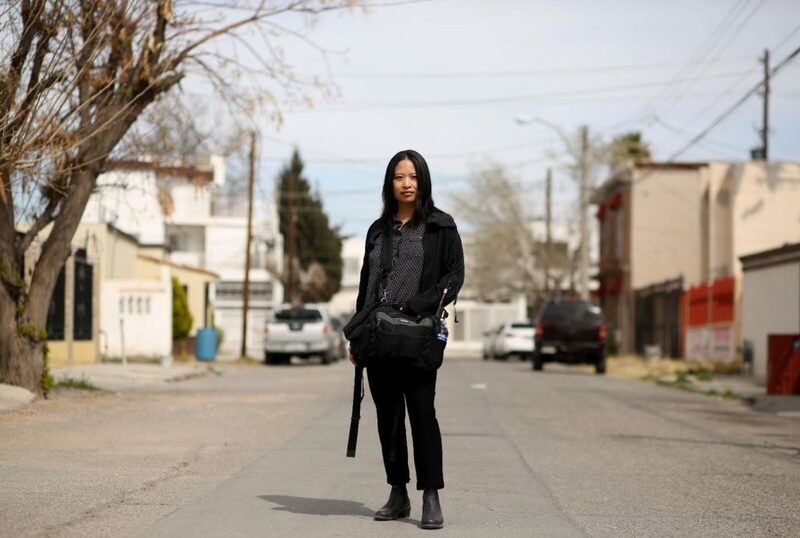 These are the voices that Corinne Chin, an award-winning reporter for The Seattle Times, loves to represent with her camera. And this has an explanation: she is a woman and she belongs to a family of immigrants. Her parents settled in Chicago after coming to the U.S from the Philippines. There she studied magazine writing at Northwestern University’s Medill School. And in the late 2000s, DSLR video was becoming popular on news websites. So she decided to pursue her master’s degree in broadcast journalism at Northwestern. “I was fortunate to grow up in a big city surrounded by a lot of diversity, and I think I developed my journalistic curiosity by being exposed to so many different perspectives early in life”, Corinne said. 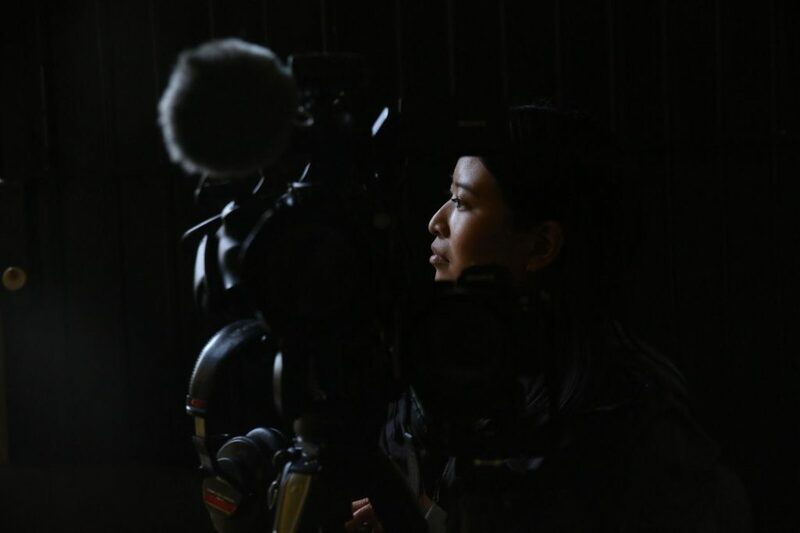 As a journalist, Corinne has worked in different cities in the US, such as Washington D.C., New York and Seattle. But she also has worked in Kenya, South Africa and Brazil. Her talent and sensibility as a journalist are at sight. —What do you look for when you pitch a story? A lot of people think that a video story needs to be highly “visual,” full of color and movement. But I am first and foremost looking for a strong narrative that reflects a universal story. Instead of telling stories about processes I like to tell stories that reveal the “why” behind the “why”. If I am telling a story about injustice, I want to do more than document the injustice. I want to show the viewer how their decisions might impact or contribute to the situation. Nothing happens in a vacuum. —Tell me about your life in different countries! Which of them do you consider is the one that left more things in you? That’s a tough question! I have learned so much so quickly working abroad, but I think the assignment that made the most impact on me was my first international reporting trip to Malawi. I was an undergrad journalism student and still not sure what kind of reporting I wanted to do. When we visited the Dzaleka refugee camp, I realized that the photojournalism I had previously seen victimized refugees and failed to highlight their agency and resilience. The people journalists work with deserve to be treated with dignity and respect. —What is the recent story that you are most proud of? I always like to share the 2016 interactive documentary Under Our Skin because it’s so different from anything else I’ve done, and it sparked a lot of difficult discussions about race among our audience in the Pacific Northwest. Our team also collaborated on a lot of audience engagement work and community events. A more recent and more typical narrative story is this one about the 50,000 Chinese Exclusion Act case files housed in Seattle’s National Archives. The Act didn’t end that long ago, only 75 years, and there are so many parallels to what’s happening with U.S. immigration policy today. —If you could change a thing about the state of the journalism industry, what would it be and why? —And as a woman journalist, what are the main challenges that you are facing? I would say that mentorship and sponsorship tend to be lacking for women in journalism. I have been lucky to work with many talented, inspirational and generous women who have taught me so much (including my IWMF reporting partner, Erika J. Schultz!) – but it was really difficult for me to find mentorship starting out, especially in a newer field like online video. Sponsorship – actively trying to help women advance their careers – is even harder to find. This is one of the reasons I signed up to offer digital coaching sessions for women journalists through the website digitalwomenleaders.com. I’ve also been coached by many of the other women featured on the site, and they have helped me make some big decisions – including helping me have the confidence to apply for this IWMF fellowship. It’s a great resource that’s free for all journalists who identify as women!